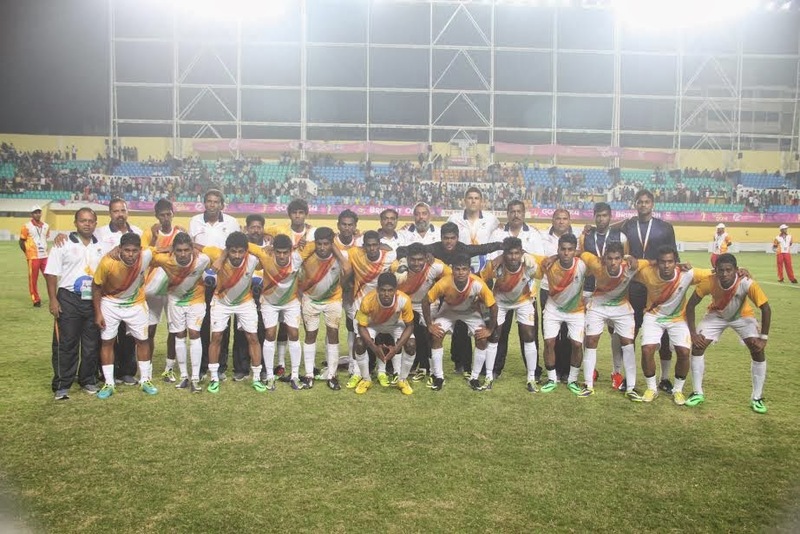 Goa-India team lost to Mozambique in their second encounter after an own goal from Goa-India team in the second half of Group B match of Lusofonia Games 2014. Having won the first match against Mozambique by a 2-1 scoreline, Goa-India were quicker to get off the blocks as they dominated the early proceedings against a physically strong Mozambique side. Brandon Fernandes in particular was impressive with his dead ball abilities. Mozambique missed the chance to go ahead in the first half when they failed to convert from the spot. Mozambique got the all important winning goal in the second half through an unfortunate own goal from Goa-India. The win meant that both teams were level in the group standings and a draw was carried out to find the group leaders. Goa-India came out as the lucky pick, as they made it to the semis. Francisco Neto, the Goa-India coach, was quoted saying, "I’m happy with my Team’s performance today. They created many chances and their set piece game was good. In the last edition, we conceded 18 goals and scored only 2 and now we are serious contenders. I’m proud of the boys and I hope Goa is also proud of them. ".